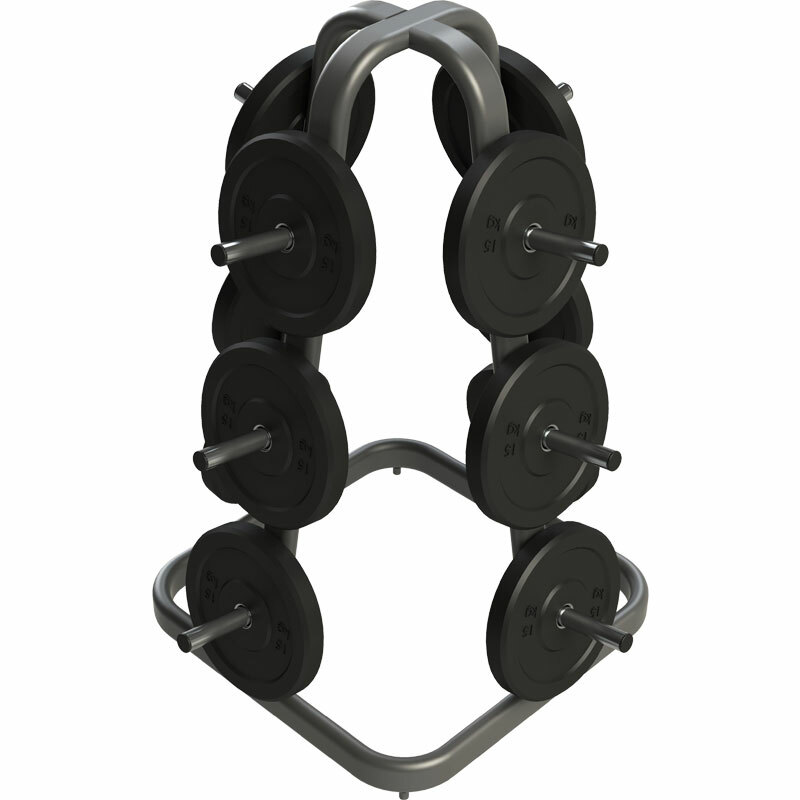 The Exigo Olympic Bumper Plate Weight Tree has been designed with 12 storage points to house Olympic plates safely. Perfect for any free weight area. 12 Olympic weight plate storage points.